Stocks in Asia tumbled on the heels of Friday's terrible U.S. jobs report and new concerns about another European country's debt worries. On Friday, a Hungarian official said that the debt situation is nasty, quickly prompting investors to call Hungary the next Greece ("PIIGS" must now become "PHIIGS"). 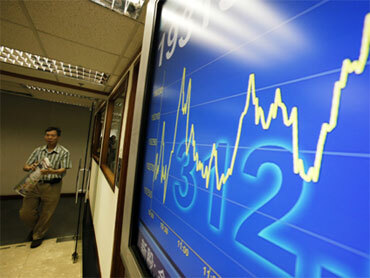 European stocks are trading lower, but strengthening as the day progresses, and the Euro is holding steady at $1.1986. U.S. futures are trading flat to marginally higher at the moment. In the week ahead, the Fed will release Consumer Credit for April this afternoon. Consumer credit has declined sharply since mid-2008, as consumers try to dig out from twenty years of excesses. On Wednesday, Fed Chairman Ben Bernanke will testify before the house budget committee about the economy, financial conditions and the budget. After the rotten monthly report, all eyes will be on the weekly initial weekly unemployment claims due Thursday. Analysts are expecting a drop to 448K from 453K last week. The week will end on a big economic report  Friday's release of May retail sales. The consensus is for an increase of 0.2-0.3% from the April rate, and 0.1% increase ex-autos. Keep an eye on Apple (AAPL) today  the new iPhone 4G will be unveiled, with the usual Apple fanfare!